At the turn of the nineteenth century, cultural hubs in Europe, such as the cities of Paris and Vienna, were experiencing growth in all aspects of the modern lifestyle. 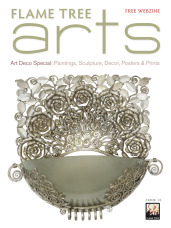 Art nouveau artwork effectively sold the glamour of this ‘fin de siècle’ atmosphere, the decadence of the bourgeois class and the changing social mores that were taking place. A key player in this was the Czech artist Alphonse Mucha, who lived and worked in Paris for nearly 20 years and produced a huge number of influential artworks in the realm of commercial illustration. His decorative, curvilinear designs featured on not only posters but on a range of other products, earning him enormous success at the centre of the art world in Paris. In part one of our Alphonse Mucha blog we looked at his amateur years, if you missed it just click here to take a look. 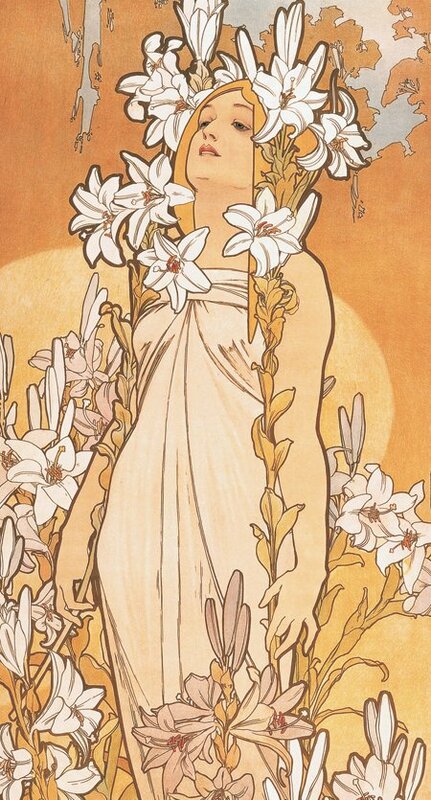 We saw how Mucha’s early life built the stepping-stones for future opportunities. Today we look at the next phase of his life that started him on the road to his future fame. When studying famous artists, educational systems and textbooks like to highlight the bigger picture of the artist’s life: they tend to gloss over the events that have contributed to someone’s fame and success. What about the before, middle and end secrets hidden between the cracks of an artist’s glorious publications? 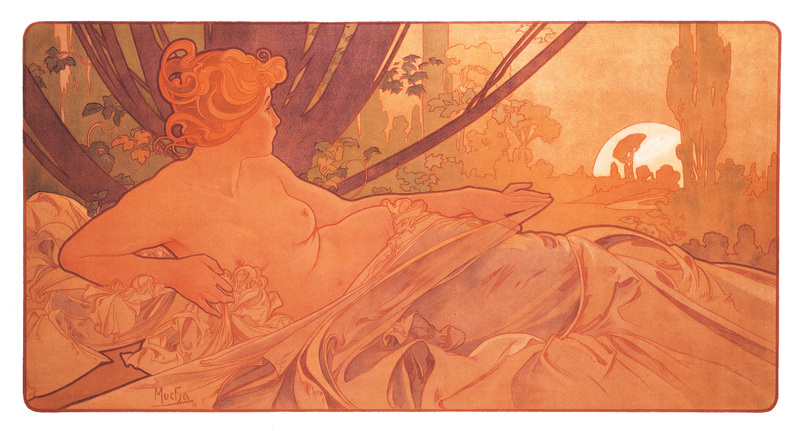 As well as his paintings, Alphonse Mucha was known for his illustrations, adverts, postcards, photography and many recognisable designs that were used in a myriad of ways. 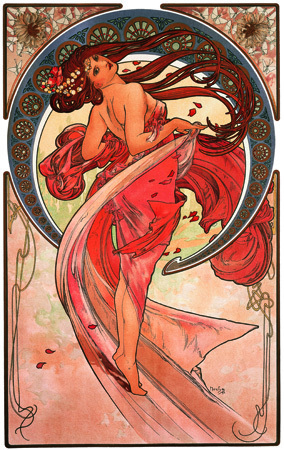 His distinct style is now recognised all over the world, and his works hang in the Mucha Museum in Prague.